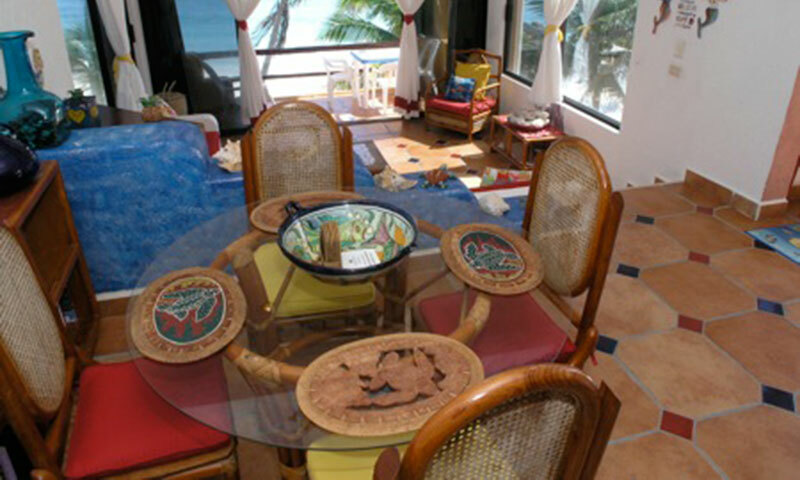 La Bahia is a beautiful condominium complex, perfectly located along sandy beach on the famous Half Moon Bay. 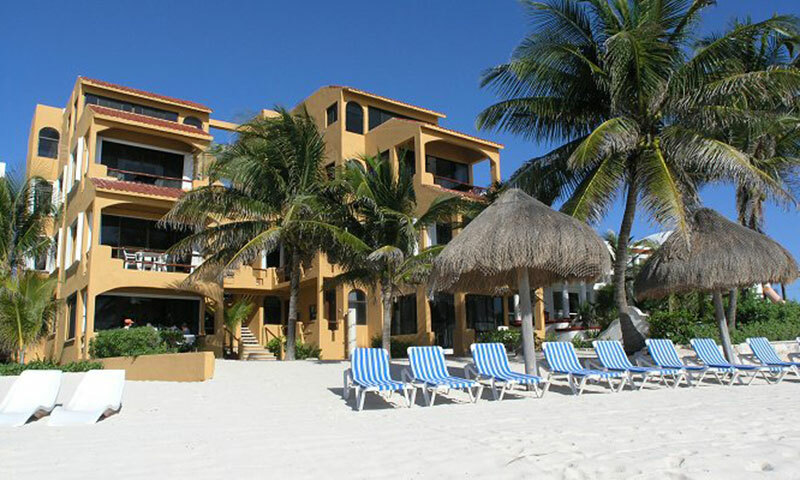 La Bahia offers its guests the convenience of amenities within walking distance, yet a beach that is semi secluded. 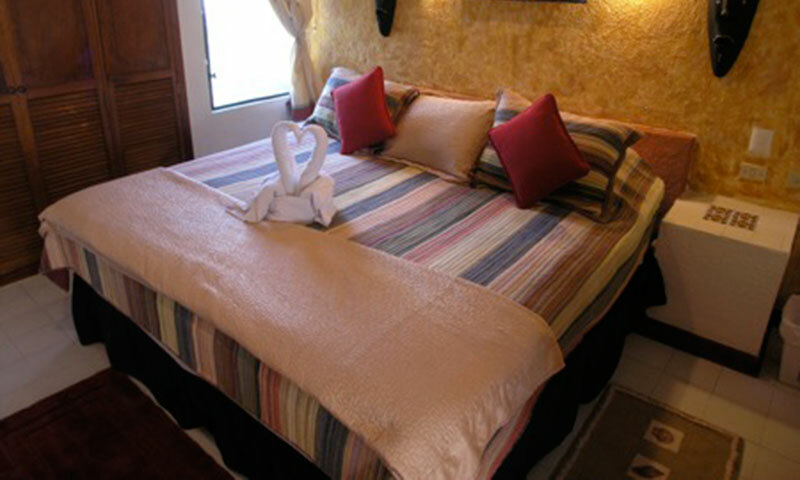 Our guests rave about their stays here. 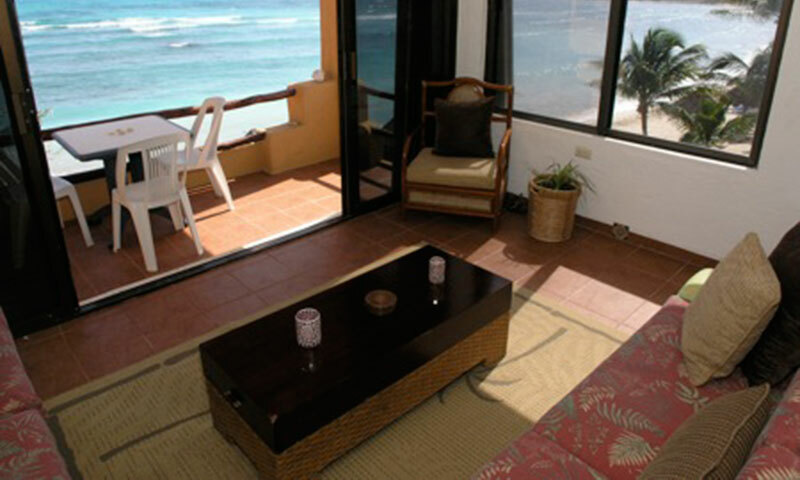 1 and 2 bedroom condos with private bathrooms offer both spectacular beach and jungle views. 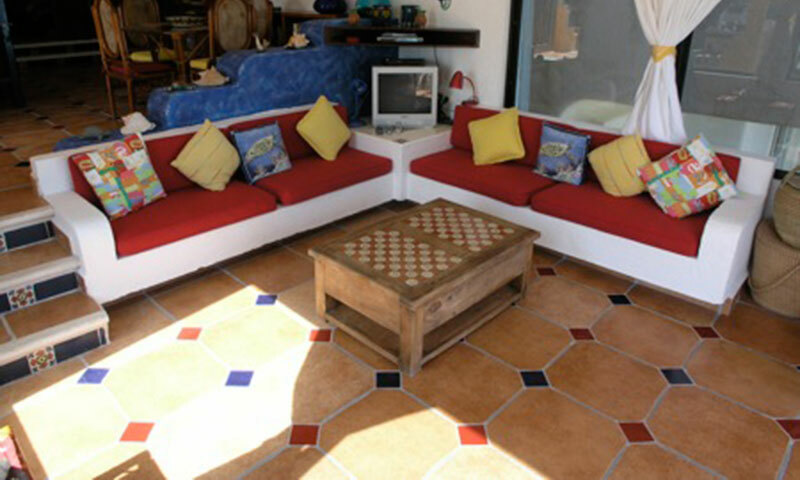 Enjoy refreshing cross breezes from any room and gorgeous ocean views from the living area or patio. These beautiful units each include daily maid service, free bottled purified water, linens, fully equipped kitchens with plenty of convenient appliances, comfortable new mattresses, spacious living areas, zone controlled air conditioning and wireless Internet. 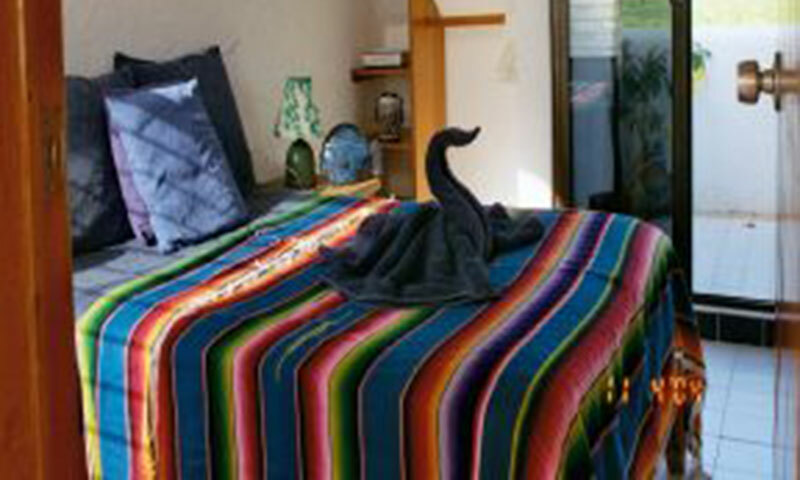 These condos are privately owned and decorated, making each unique. Please check individual listings for specifics. 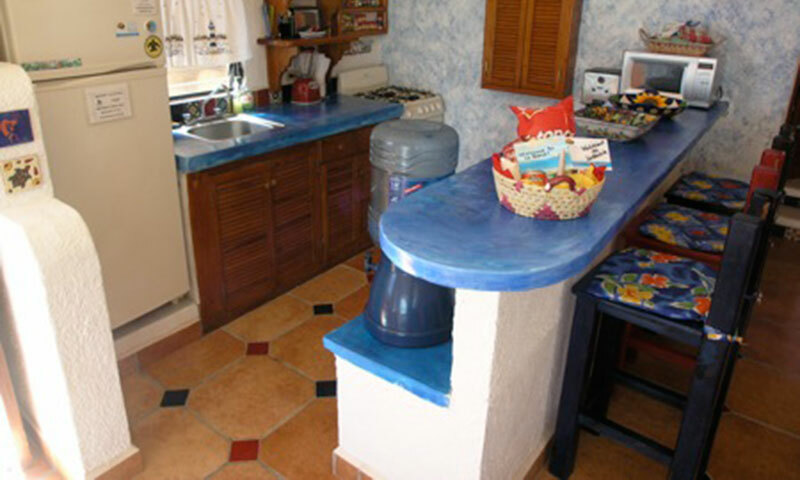 The 2BR units can also be rented as a 1 bedroom at a reduced rate. 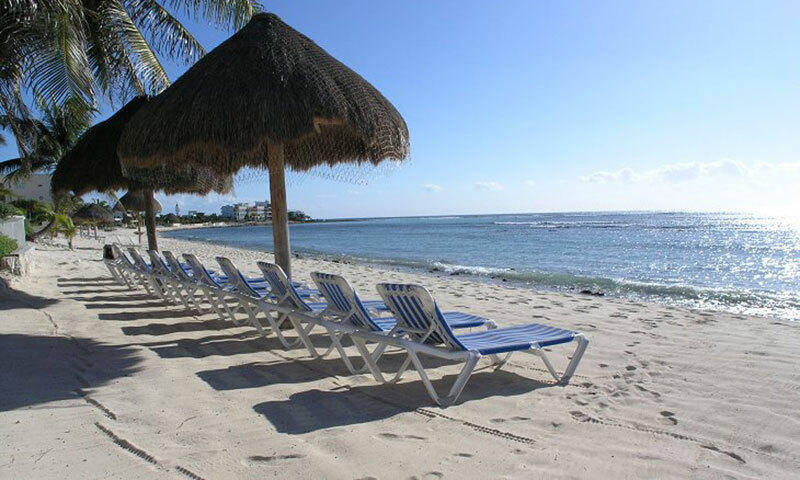 There shade palapas, Coconut palms and loungers on the beach for guest use. Half Moon Bay is protected by a natural coral reef that is teeming with underwater marine life. Daily Sea Turtle and Stingray sightings are not uncommon. Turtle nesting/hatching season runs from June through mid November. 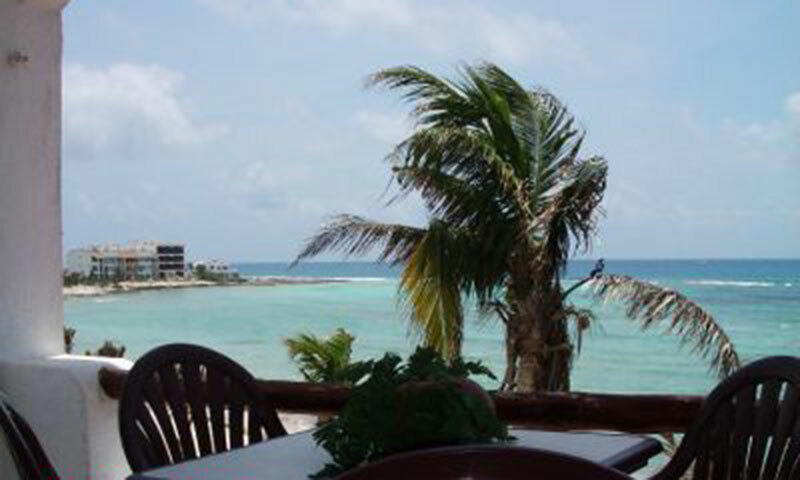 There are four restaurants within walking distance, two of which are on the beach. Bicycles and golf carts are available for rent. Central air conditioning in this 2 bedroom unit is a nice addition to the ceiling fans and cross breezes from the Caribbean. Walk-on walk-off beach level makes it perfect for families with children. This newly updated and decorated two-bedroom/two-bath unit of 1,125 square feet includes new appliances as well as new air conditioning and ceiling fans, although tropical breezes often make A/C unnecessary. 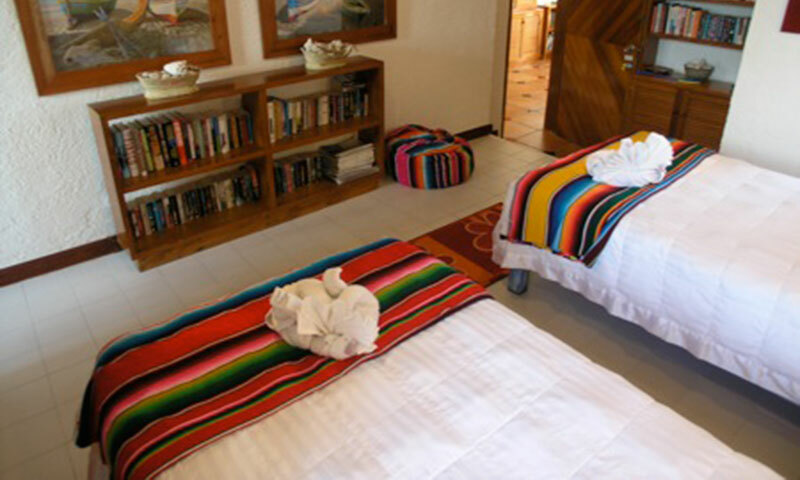 This 2-bedroom unit has the ambiance of Chapultepec, providing elegance and serenity in an eclectic decor displaying the historical and cultural differences of Mexico. On the second floor, Unit #4 is slightly larger than the upper units and offers breathtaking views of the beach, Half Moon Bay and the Caribbean sea beyond. Situated on the 3rd floor, Unit #5 has a dramatic view of Half Moon Bay to the east and the lush jungle to the west. 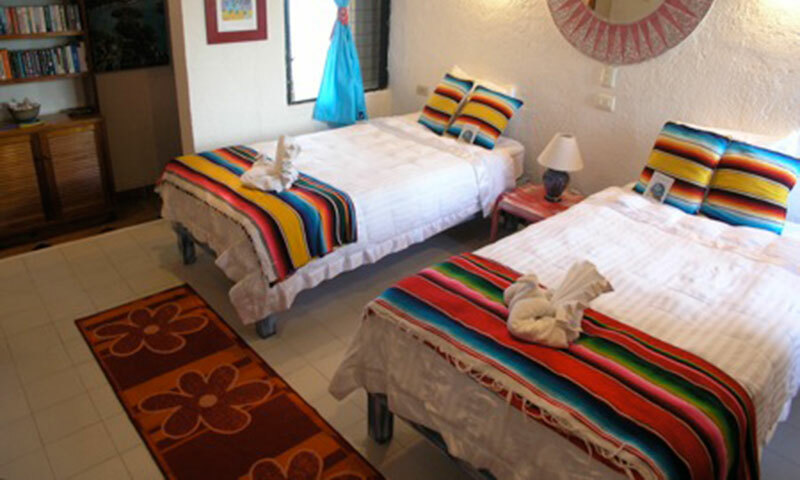 Decorated with the rich colors of a Mexican fiesta, it will feel like home away from home. On the 4th floor with one other condo (#7), this small one bedroom efficiency condo offers spectacular views and a sun filled stay. The ceiling fans and a/c will enhance the Caribbean breeze and minimalist tropical decor.